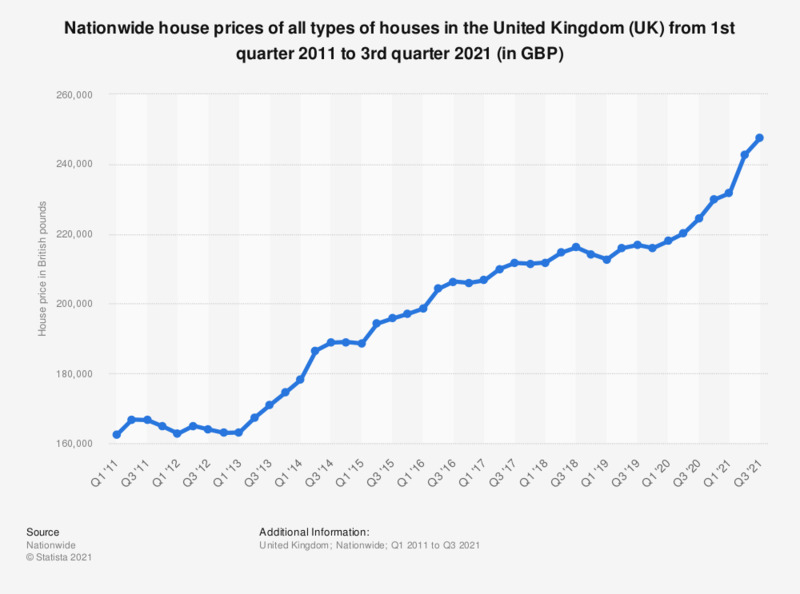 This statistic illustrates the quarterly Nationwide house prices for all types of houses in the United Kingdom (UK) from the first quarter of 2013 to the second quarter of 2018. It can be seen that the Nationwide average UK house price increased overall during the period under observation, reaching a value of almost 214.6 thousand British pounds as of the second quarter of 2018. The smallest house price for all houses in the UK during this period was found in the first quarter of 2013, when an average house price of more than 163 thousand British pounds was recorded.